If only trading Betfair was simple. Of course, the reality is from start to finish, it never will be. But that doesn’t mean the basics have to be. 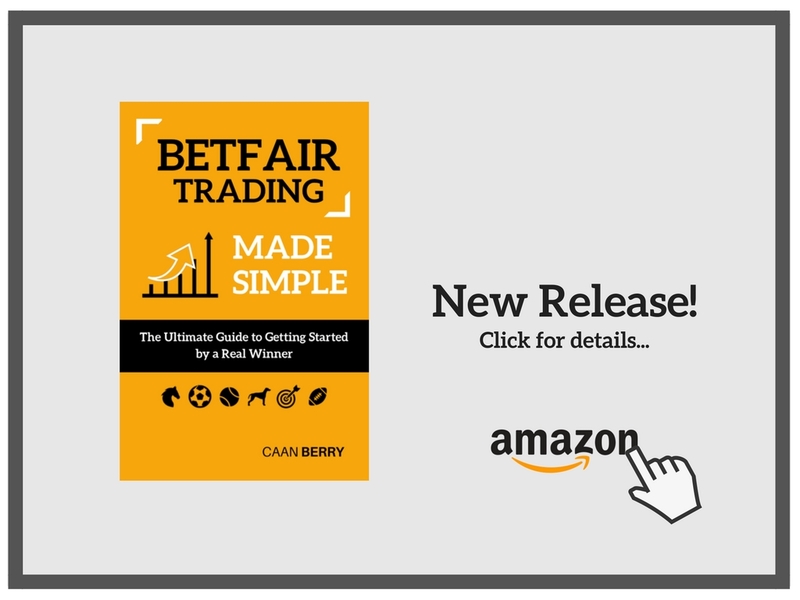 Here at caanberry.com, we are excited to announce the new release of Betfair Trading Made Simple, the ultimate started guide to the betting exchanges. 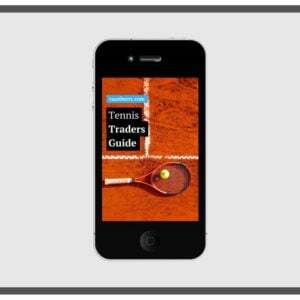 Betfair Trading Made Simple is a new paperback book. Designed especially with those in mind who have just come across sports trading. Having provided education for a considerable time now, we realised that there’s very little in terms of absolute basics. Some new followers aren’t even sure where or how to get started. In short, this book is for those people. 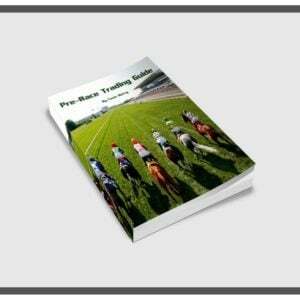 At an extremely low-cost, we’ve pulled together all the basics of learning to trade on Betfair. Also it explains how money is made in betting, important factors you’ll need to bear in mind, a structured and actionable startup process (including all the physical elements that you’ll need to bear in mind), and then dropped a few strong hints towards strategic approach. However, we want to be clear at this point in time; this is not a strategy book. If you’re seeking specific strategies and examples of successful trades, we suggest you check out the video pack course here. 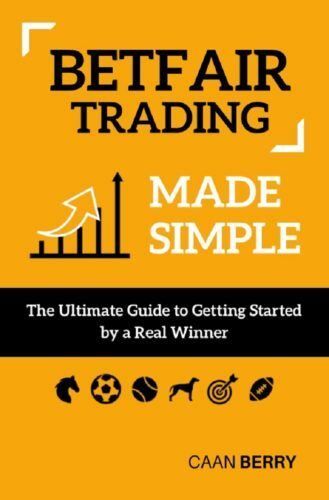 Betfair Trading Made Simple is available on Amazon for purchase in paperback format at a cost of £8.99. Or on Kindle for slightly less. If you’re interested in purchasing a copy, you can find out more detail by clicking this link here now. We will also put a link up on the product store (for future reference). This is a basic entry-level book for new traders that have successful aspirations. 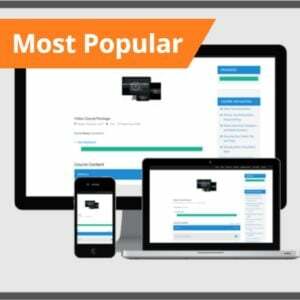 It’s written in the simplest possible format, covering all the key components that you need to be aware of and acknowledge, before you have any chances of succeeding on the betting exchanges. Many young traders come in to the exchanges expecting too much too soon, only to leave a couple of short weeks afterwards frustrated. There are hints and tips toward strategic approach, but we want to be as clear as possible and say this is not some miracle strategy that will rocket you into riches next week. Get Your Copy: Skip to Amazon NOW! Not sure, best to check with Amazon. Thanks Caan for a lovely insightful content which is a must read for every trader whether he is just started or he is a pro. Very lucid language with easy examples to interpret and understand.I was a lot less into markets yesterday reading the book completely and it was astonishing that so many things in the hindsight i am doing is not up to the mark and there is so much to sharpen my skills.Without it i would have learnt it in my own way after depreciating my bank a lot more. And its not just a one time read. I suggest every one who is serious about the markets to read it in between many a times so that you are in command of your trade and emotions. No problems at all. Thanks for the comment, really appreciate it. Half way through and absolutely love it. Awesome Caan. Thanks, Paul. Comments like this make it totally worth it! Hi Caan, just wanted to say congratulations I ordered my copy a few days ago and spent all day yesterday reading. Thoroughly enjoyable and a useful read thanks! Being an almost total newbie in manual trading, (traded greyhounds using bots a few months ago with average low success, read: pennies), I have to say that this book is well written for someone like me. It really helps understand the basics of trading on an exchange. I have a colleague at work also interested in trading and he bought the book. This book is easy to read and understand the lingo, well explained. The only thing that I would say is that the pictures are black and white, while certain comments mention things like: the pink line, the red line etc… I can understand that the cost of printing the book in colour would have driven the cost up. And after that, I’m off to read (10x+) the pre-racing guide…. Thanks for taking time out to leave a comment! Sure, I do get what you say there RE: colours. You suspected correct, it drove up the cost so much more it wouldn’t have been worth doing – the margin is tiny as it is. I believe the bit you mean there is a page in the second to last chapter. The names of selection were added in to add clarity and compensate for the black and white. Thanks again. Hi Caan, looking to buy this regardless, but just wondered about the fact that you laced in to Betfair a little in an old blog recommending another exchange? What’s changed to recommend Betfair? though I suppose an exchange is an exchange but ask why the book is not a little more generic in this context as opposed to specifically Betfair – if that makes sense? Thank you! Sure if you use the search bar to the side you will find pretty much anything you want!